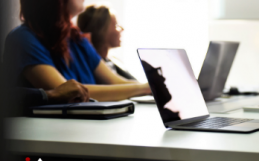 The latest economic challenges in the Alberta Oil & Gas sector have increased the pressure on industry to look for efficiencies in operations management. 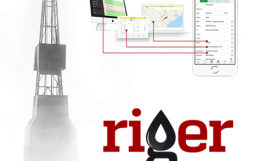 The ripple effect on the Equipment Rentals & Energy Service sub-sector of the industry was significant, leading service providers to embrace the move from traditional whiteboard-and-paper to a Digital Oilfield operations management approach. 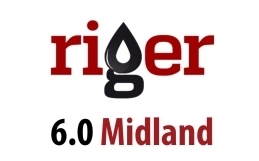 Mostly small and medium size businesses, Oil & Gas equipment rental companies are now faced with a challenge of finding a solution that fits both their internal processes and budget. 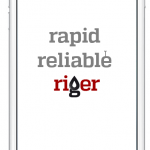 Fast-forward five years and the RigER Digital Oilfield Platform is making oilfield equipment rental operations a better experience for everyone involved – from accountants who are able to issue invoices 10 times faster with correct information about job details, to operations managers who have dashboards and reports and now can see full picture of their business, to field technicians who are no longer using paper and spreadsheets to keep track of job details but instead are equipped with a RigER Mobile Oilfield app to enter and sync operational data with the back office with a click of a button. 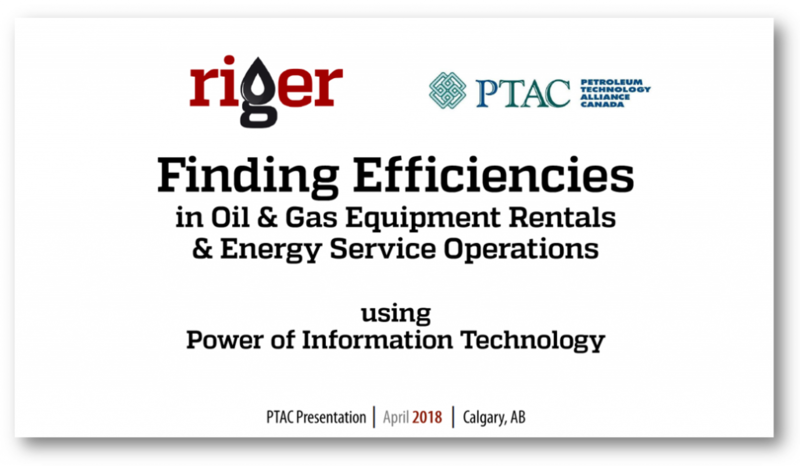 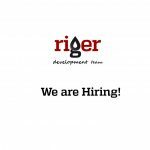 In the presentation delivered at PTAC Calgary on April 10 2018, the RigER team shared the insight about typical issues faced by oilfield rentals businesses and outlined the RigER solution framework demonstrating how it helped several of its customer to increase efficiencies of their daily operations, boost revenue, and grow their business 10x using RigER.